Meet Miss Katherine and Mr. Levi. 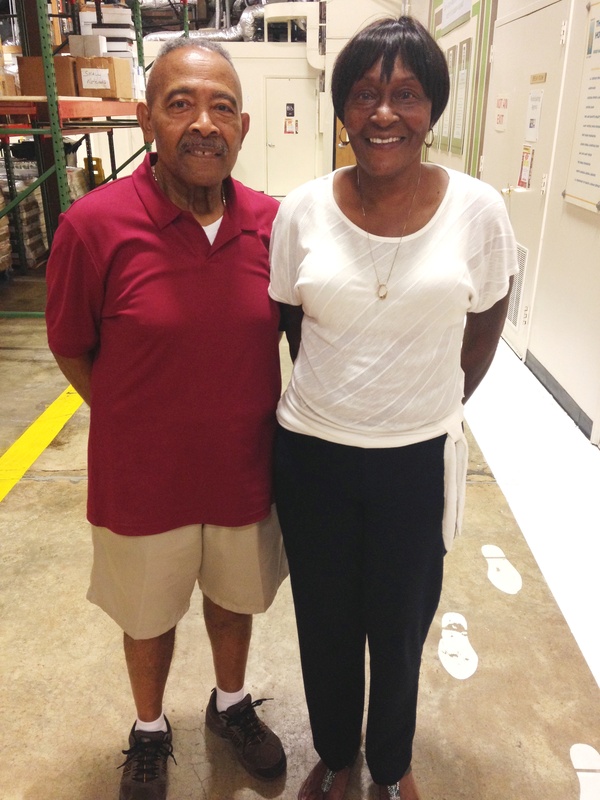 They run the Poplar Springs food pantry, one of our partner agencies in Raleigh. Miss Katherine told us that the line outside the food pantry has increased 75 percent in recent months, and they’ve struggled to provide enough food for everyone who needs it. The pantry already had their normal distribution for the week, but Miss Katherine said she opened the pantry again today because so many folks have been calling, looking for food. Recently their pastor gave the food pantry a check for $2,000 to allow them to buy more food. Miss Katherine expressed her sincere gratitude for such a significant gift, and said they will use it to help re-stock their shelves that have been picked bare. Poplar Springs is one of our partner agencies in Raleigh. Across our 34 counties we work with over 800 partner agencies to distribute food to over 651,000 people who are food insecure. In Wake County, over 134,000 people live in food insecure households.